The new kid on the block has come to town with a loaf of bread under one arm and a wheel of Goat Lady Dairy cheese under the other. Here comes West Coast startup, Dishcrawl! Straight from the Bay Area and quickly expanding through the U.S. and Canada, Dishcrawl is now in Greensboro. Ready to please foodies with a unique dining adventure, diners will be treated to some of Greensboro’s historic and growing Downtown eateries. For only $45, you can experience dishes at FOUR different restaurants within one night. "Tell me more about this Dishcrawl", you say? The concept is simple: it’s an eat and meet event mixed with a guessing game. Four restaurants in one night, with a small group of soon-to-be foodie friends. The names of the restaurants are kept secret for now, but for ticketholders, the first restaurant is revealed 48 hours before the Dishcrawl begins. You can follow @dishcrawlgreens on Twitter and be the first to know! 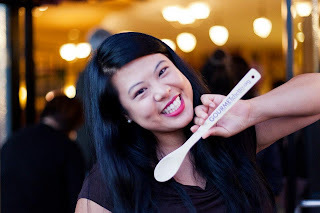 I caught up with Tracy Lee, CEO and founder of Dishcrawl from San Jose, California. How did you get the idea to start Dishcrawl? I was in a corporate job where I was very unhappy. I decided to follow my passion and my passion is food. It was all serendipitous, really. Passionate people in cities all over help make it happen. Why Dishcrawl and not some other venture? I started writing three blogs: One satisfied my corporate, techie side; one satisfied my passion for food and one blog was just about my daily life. Food brings people together and I'm passionate about it. I saw people all over doing what they loved and getting paid to do so. I thought,"Why not me?" So I ask you: Why not YOU? On Wednesday, April 24, 2013, join me on the inaugural Greensboro Dishcrawl as we go to FOUR Downtown Greensboro eateries, for a night of flavorful sensory experiences with the Gate City as our backdrop! Don’t wait, get your ticket now! 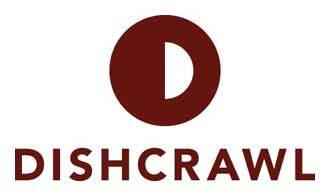 You can "LIKE" or tweet Dishcrawl and receive an exclusive discount code for your ticket. I love discounts, don't you? This is not a sponsored post. All opinions and views here are my own. New Orleans Bar and Grill fun atmosphere and food is so good! Food comes out piping hot which is a great thing!